“I had a moment when we were out on the lake in Tasmania, and I realised that it wasn’t just a shallow lake containing a few fallen trees. It was a body of water, over 70 metres deep, a fully submerged forest.” Designer Nathan Day used the opportunity to showcase the timber in just the right way. His Pieman Table and Pieman Desk do this through “beautiful, simple, quiet” expanses. 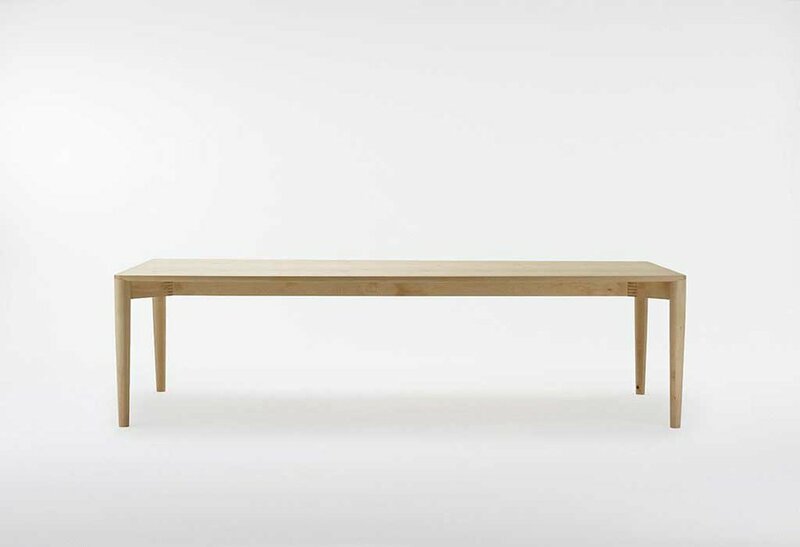 The table and desk tops explore the texture and grain of the timber through a clever finger jointing system that allows Day to change the direction of the timber and join it back together as a solid piece. “It’s super strong but also visually eye-catching, very striking,” said Mr Day.